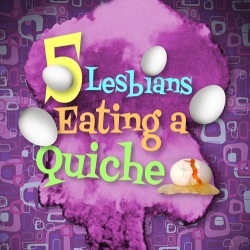 5 Lesbians Eating a Quiche. Email your best quiche recipe to couturechefs@yahoo.com include picture and recipe. 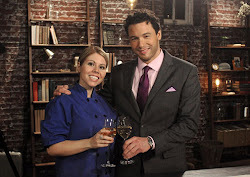 Our winner receives 2 Free tickets and bragging rights on the NYC Cooks sight! Contest Ends Monday November 12th at 10pm. Winner will be announced Tuesday, November 13th. Get Cooking! Raved by Time Out New York ("4 stars & critic's pick, gleaming with comic polish") and Time Out Chicago ("4 stars, smart, sharp, and hysterically funny) and coming off a sold out run at FringeNYC where it won for Outstanding Production, 5 Lesbians Eating A Quiche features "one of the finest comedic ensembles currently on any NYC stage" (HyReviews) and "could be a downtown hit in the upcoming season" (NYTheatre). "Your relationship with quiche will never be the same again (New City). RESTRICTIONS: Offer valid through November 20th. Offer may be revoked at anytime and is subject to availability. Not valid on prior purchase. Offer cannot be combined with other discounts or promotions; blackout dates and restrictions may apply. Maximum of 8 tickets total with offer.